Dr. John Connors was featured on The Doctors Round Table to discuss “Breast Augmentation and Rejuvenation: Dispelling the Myths.” Listen to Dr. Connors discussion by clicking here. 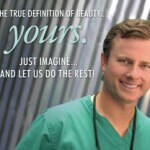 Dr. John Connors was voted “Best Of Atlanta” for plastic surgery by Jezebel Magazine, 2011. 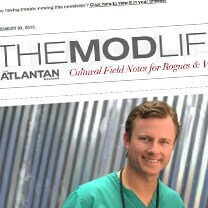 Precision Makes Perfect: Check out Dr. Connors' write up in Septembers issue of Mod Life. Finally the machine that gets you. Check out this month's write up about the Vectra 3D system at our office on Urban Daddy. Dr. John Connors was featured as one of this month’s Top 5 for Modern Luxury Magazine. Dr. John Connors was featured this month in the Atlantan & The Atlantan Brides Magazine. Cover for Jezebel Magazine’s “Best of 2010". A follow up to Dr. John Connors' featured article. 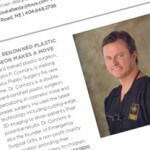 Dr. John Connors was featured this month in Jezebel Magazine for the “Best of 2010" for plastic surgery in Atlanta. 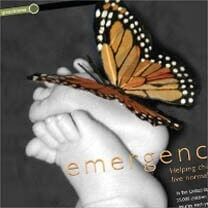 25,000 children suffer from burn injuries each year. Many of those who survive are left with disfiguring scars, making it almost impossible for them to live normal lives. Make sure to check out the write up in Lifestyles magazine this month featuring Dr. John Connors' non-profit organization – Emergence Surgical Gifts.